Anushka Sharma stuns once again. The Internet cannot stop raving about Pari's first look. 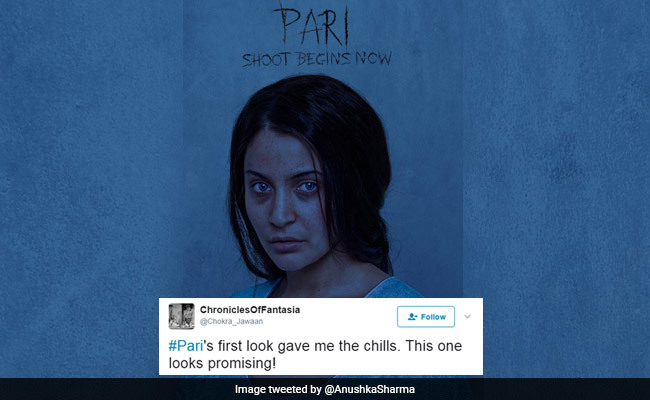 Anushka Sharma's blue-eyed, haunted look for Pari has created quite a stir online. On Twitter, it has met with unanimous approval, unlike the lukewarm response meted out to her other upcoming movie, Jab Harry Met Sejal. It has even becoming a trending hashtag. Pari will be co-produced by Clean Slate Films and Kriarj Entertainment, and directed by debutant Prosit Roy. What do you think of Pari's first look? Let us know using the comments section below.